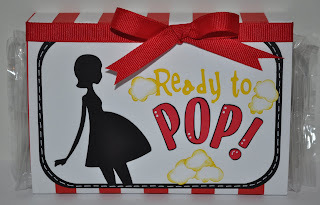 Tx Scrapper Mom: Ready to POP! 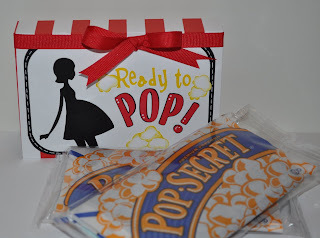 I am so very excited to be a guest designer today at She's a Sassy Lady! Starting next month, I'll be joining the wonderful groups of ladies that make up the Design Team for Sheila's blog!! I saw the cuttest baby shower invitations online, and I loved that it wasn't just pink/blue. I have a baby shower coming up in the next few weeks, and a few of us decided to put together a basket for the mommy-t0-be. I made this little treat (inspired by the invitations) to include in the basket - hope she likes it! Wow, I love your Idea. You did a wonderful job. Such a cute little project! Thank your for sharing this with us today at Shes A Sassy Lady. This is a darling idea!!! This isn't just so darn cute it is so clever! I LOVE it! As always you come up with some FANTASTIC ideas! This is so cute, love it! TFS!! Oh my goodness!!! this is too adorable!! I have an award for you thank you for all the inspiration I get when I visit your blog. oh my goodness! this is too cute beyond words! Adorable!!! I just love this cute project.. those designs and the colors are great. Thanks for this great post.